The interships in Summer and Fall 2017 were conducted as part of the course IDS 368. The intership mandates 200 hours at the host institution. Host institutions were the Back Bay National Wildlife Refuge in Virginia, the Great Dysmal Swamp National Wildlife Refuge in Virginia, and the Uvalde National Fish Hatchery in Texas. Four students conducted full-time internships at Back Bay, three students carried out parttime internships at Great Dismal Swamp, and one student experienced a fulltime internship at Uvalde. Each intership required an individual application to ensure that the student is matched to requirements of a particular internship. After submission of the application, an interview was scheduled with the advisors to ensure that there was an optimal match between the host, project, location, etc., and the students interests and qualifications. 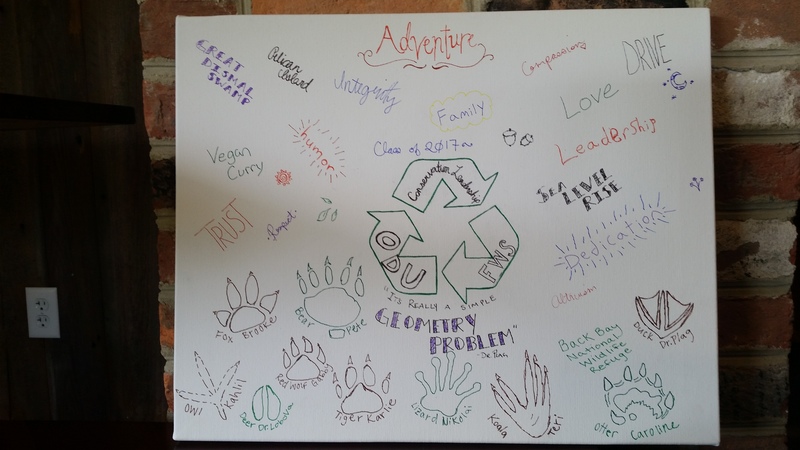 Each internship focused on a "real-world issue" that constituted a leadership challenge in conservation. The student was expected to use the concepts of adaptation science to analyse the issue and to develop options of how to address the issue. Each student was mentored in the context of IDS 368 and had a dedicated supervisor at the host institution. Weekly reports and weekly conversations of mentor and student ensured that the mentor could provide guidance and support the student when needed. An case study paper on the specific issue. This case study paper was prepared as part of the Sustainability Leadership Class (BIOL/OEAS 495). A final report providing details on the issue, including the hazards, vulnerability, foresight, decision making, options, and recommendations. A one-page executive summary of the project and the resulting recommendations in a wording for non-experts. A short story on the experience of the internship and the personal value this experience has. A YouTube video providing a concise overview of the project and its outcomes. Examples of such videos can seen at the CDIP YouTube page. There was financial support available for the internships, including travel costs, lodging, per diem for food, and insurance fees. The availability of funding is depending on economic needs and academic standing. A GPA of 3.0 was required to be eligible for funding. All interns participated in an orientation workshop held at the beginning of the internship. For the interns placed in local NWRs, the Orientation Workshop took place on July 18-19, 2017 at the headquarters of the Back Bay National Wildlife Refuge in Virginia Beach. 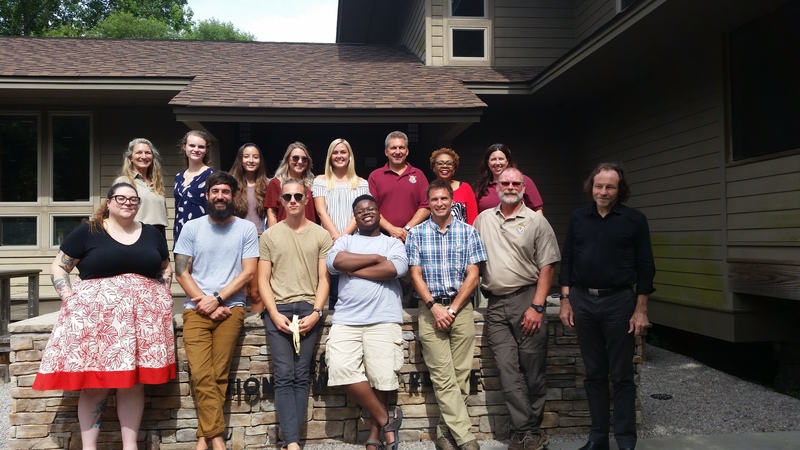 At this workshop, the students were introduced to multiple aspects of working at a Federal agency such as the Fish and Wildlife Service and engage in reflections about ethical and social sides of conservation and sustainability (see the agenda). Among others, the interns prepared a legacy (see below). They also wrote letters to themselves detailing three things they have to ackomplish at the end of the internship providing reasons why they see the need for these things. These letters were then mailed to them after the internship. Interns, FWS representatives, and instructors at the Orientation Workshop. Front row from the left: Terry Ramey, Peter Ahl, Nikolai Karlov, Kahlil Scribner, Eddie Hill, Doug Brewer, Hans-Peter Plag Back row from the left: Kathryn Owens, Caroline, Elaina Simpson, Karlie Pritchard, Brooke Bass, Chris Lowie, Mamie Parker, Lauren Mowbary. Legacy sketch prepared by the interns during the Orientation Workshop. 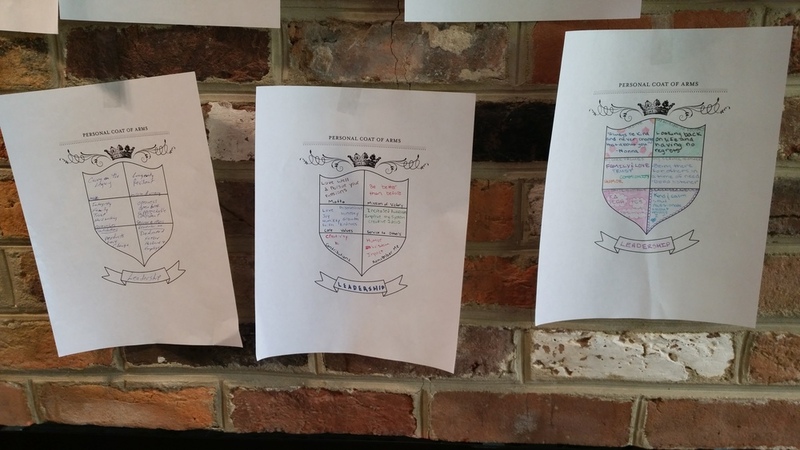 Each intern was asked to develop a coat of arms reflecting their Motto, My Misson of Victory, My Core Values, My Service to Society, My Contribution, Remember me. Here we provide the results for several of the interns. Project Report: The Great Dismal Swamp: Impacts on bird populations from 1983 to present. Project Report: Migration of Coastal Ecosystems and Secretive Marsh Birds in the Back Bay National Wildlife Refuge.